First airline ordered Airbus A320 has been equipped Sharklet, Air New Zealand, receiving the completed aircraft wing tip curved to save fuel on Monday (06/17/2013) at the Paris Air Show to-50 held. The aircraft was hand over to the Chief Flight Operations and Safety Officer Air New Zealand, David Morgan. Airbus launched the A320 Sharklet on Dubai Air Show 2009 and Air New Zealand is the first airline to commit to buying this type. 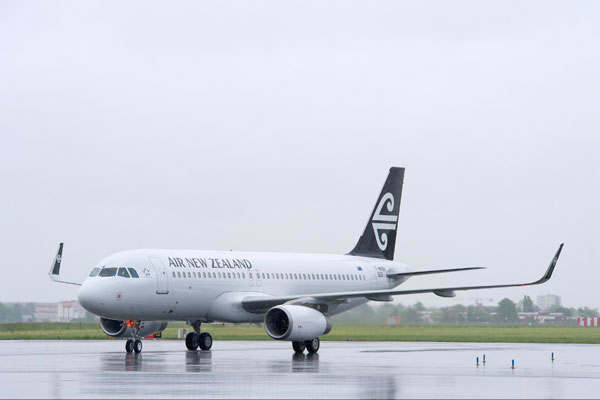 "A320 fleet is key for Air New Zealand on domestic flights and airline committed to replacing all domestic flights with the new A320s for efficiencies," said Morgan. "We are pleased that the first customer for Sharklet, Air New Zealand, has received the first A320 has been equipped with the fuel-saving wingtip. Sharklet reduce fuel consumption by up to 4 percent and will help Air New Zealand has become more efficient, "said Chief Operating Officer-Customer Airbus, John Leahy.